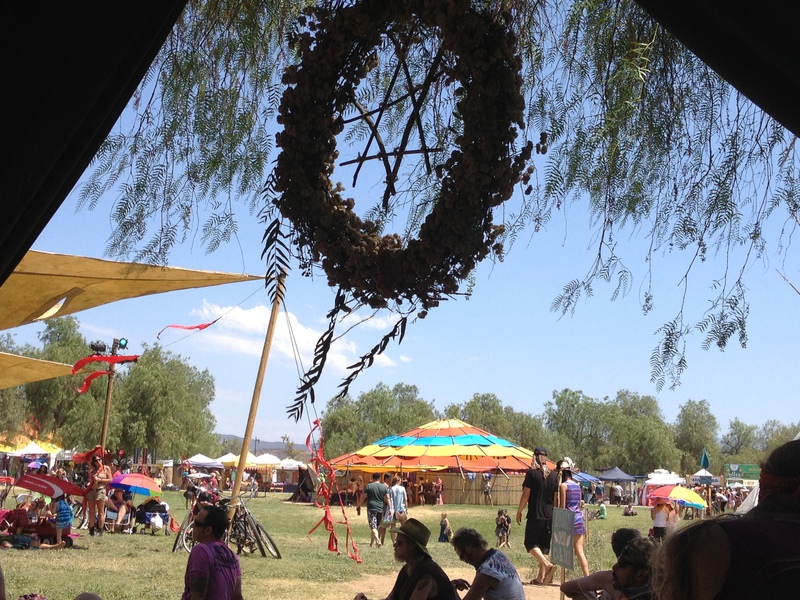 I had the wonderful opportunity this last weekend to attend Lightning in a Bottle, which is an amazing music festival thrown every year by my good friends at The Do Lab. 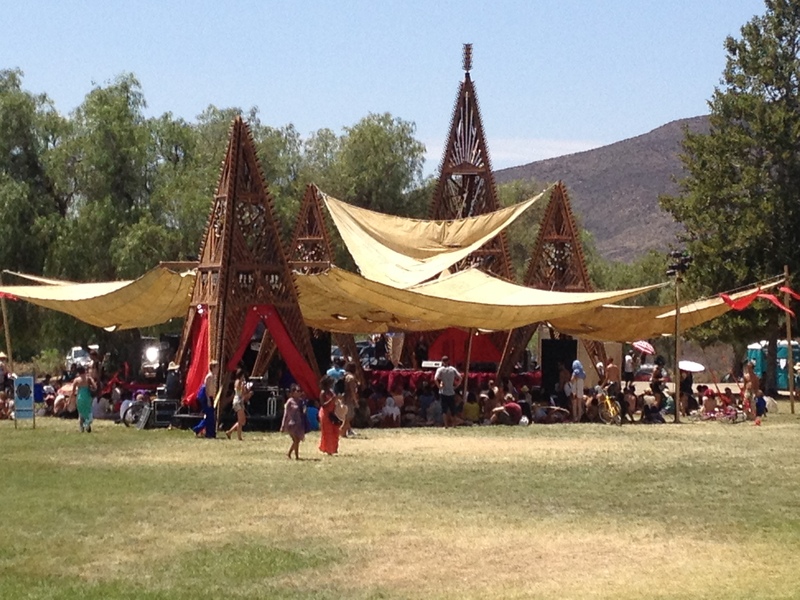 This year volunteered in exchange for my ticket, and I got to work all weekend at Temple of Consciousness stage where mostly spiritual speakers and music were going to be heard. This was my fourth year attending, and due to my good fortune I have been a part of this experience since the early years of the festival. I went to the third LIB in 2002 when I first started hanging out with the Orange Kids (parts of that group later spawned off to become what is now known as The Do Lab). The highlight of the festival (for me) was to see my favorite DJ, The Human Experience, who I heard was to spin at the Temple stage. Once I got there I found out he would spin at 5:30am on Saturday morning so I stayed up all night (unenhanced) just to be able to hear his set. I was really bummed when I got to the Temple and found out that the cops had just shut down all of the speakers because of a neighborhood complaint. Sadly, I returned to my tent so that I could get some much needed sleep to work again at the Temple later that day. Once I woke up I found out that The Human Experience did indeed play a set that morning, albeit an acoustic one, that was about an hour later than originally scheduled. Apparently he likes to play the sunrise set, and I assume it is because his music really resonates well during that time of day. I caught parts of his sunrise set on New Year’s Eve 2012 at Hummingbird Ranch and it was spectacular! I never got to see The Human Experience play at Lightning in a Bottle, so I jumped at the chance when I got the invitation to his CD release party (for his CD “Soul Visions with Rising Appalachia”, linked above) at King King this last Tuesday. The universe works in mysterious ways, because what I saw when I arrived made my heart sink. I had been standing less than ten feet from this person the entire weekend while I was working at the Temple stage of the LIB festival! I didn’t realize until that moment that I never really knew what this DJ looked like in-person (when I saw him previously he was spinning with another person), and I was now full of regrets that I unknowingly bypassed an incredible opportunity to (at the very least) show my appreciation. Everything all started to make sense as bits of information I had previously heard started flashing through my mind. The Human Experience is a person named David Block, a fellow Do Labber. Of course he was working closely with the festival. With all of my experience working for celebrities and top producer/director’s in Hollywood, one would think I would’ve learned my lesson by now – act with grace and humility toward everyone around you as you really don’t know who they are or what they will become. Lesson learned!